A shadow emerged, its eyes shining in the firelight. The ranger crouched, balancing the Stonewashed Survival Hawk in her hand before standing and throwing it. The axe head sunk deep into the tree behind where the shadow had been. 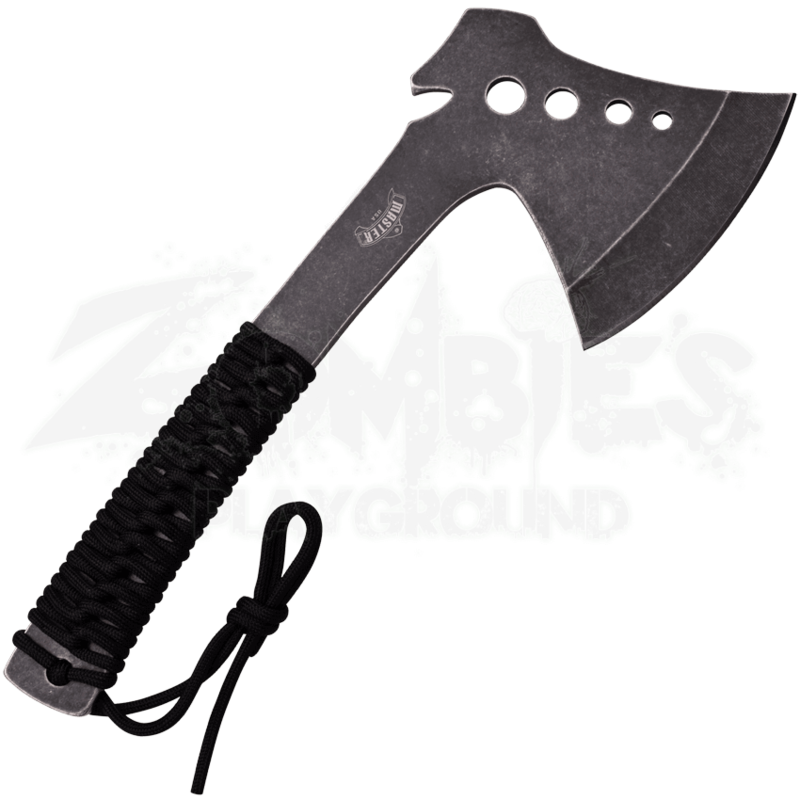 This functional hand axe is a perfect choice for all your adventures in the wilderness. The 5mm thick stainless steel axe blade has an attractive stonewash finish. To reduce the overall weight of this outdoor axe, there are four circular cutouts in the axe head as well as a decorative notch on the poll. The full tang handle is wrapped in black cord. This Stonewashed Survival Hawk would make an excellent gift choice for backwoods enthusiasts and collectors alike.